In this Jan. 15, 2019 photo, Attorney General nominee William Barr testifies during a Senate Judiciary Committee hearing on Capitol Hill in Washington. The exact timing of Mueller’s endgame is still unclear. But Attorney General William Barr, who oversees the investigation, has said he wants to release as much information as he can about the probe into possible coordination between Trump associates and Russia's efforts to sway the 2016 election. But during his confirmation hearing last month, he also made clear that he will ultimately decide what the public sees — and that any report will be in his words, not Mueller's. Attorney General William Barr spent Saturday reviewing special counsel Robert Mueller’s report on his investigation into President Donald Trump and Russian election interference, but does not plan to release the conclusions on Saturday, a senior Justice Department official said. Barr and Deputy Attorney General Rod Rosenstein were at the Justice Department Saturday morning, where they were reviewing Mueller’s report and working on a summary of conclusions to provide to lawmakers. “They’re working basically hand in hand,” the official said. The official said very few people know the report’s contents. 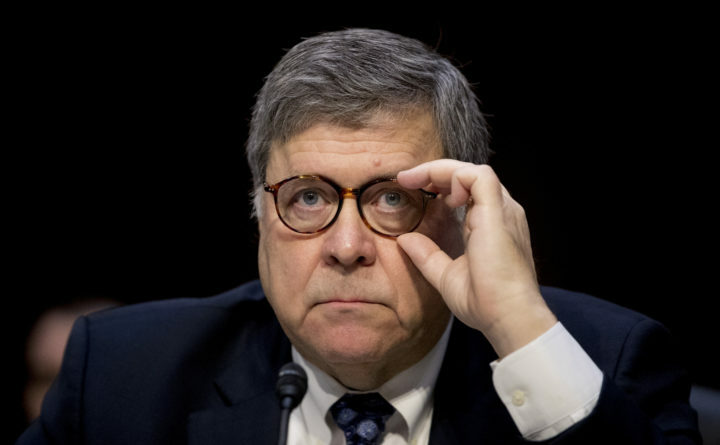 The attorney general announced Friday that Mueller’s work had come to an end, and Barr spent the afternoon and early evening in his fifth-floor office reading the special counsel’s final report – which one Justice Department official described as a “comprehensive” document. Barr told lawmakers in a letter that he “may be in a position to advise you of the Special Counsel’s principal conclusions” as early as this weekend. A Justice Department spokeswoman said those conclusions would be made public. The spokeswoman declined to otherwise describe what was in the report. A senior Justice Department official said the special counsel has not recommended any further indictments – a revelation that buoyed Trump’s supporters, even as additional Trump-related investigations continue in other parts of the Justice Department. House Speaker Nancy Pelosi (D-Calif.) and Senate Minority Leader Charles Schumer, D-N.Y., issued a joint statement saying that the report and “underlying documentation” must be provided to Congress. Rudolph W. Giuliani, one of the president’s lawyers, said he has been counseling patience. Washington Post writer Robert Costa contributed to this report.